Marilyn Bono is currently a receptionist and office manager at Brentwood Animal Hospital in St. Louis, MO. 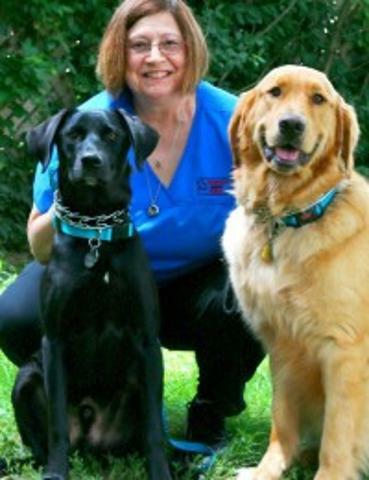 She has worked at Brentwood Animal Hospital for 23 years. She graduated from Northwest High School in St. Louis, MO. She started her career with animals in 1976. She managed three different pet stores over 16 years. While at the pet store, she met Dr. Cheryl Albin. Dr. Albin worked at Brentwood Animal Hospital at that time. Marilyn and Dr. Albin shared an interest in birds. They became friends and started working together to raise and take care of baby birds. Through Dr. Albin, Marilyn was given an interview with Dr. Jim Ryterski at Brentwood Animal Hospital. She was hired as a receptionist in 1993. Through the years Marilyn worked as a receptionist, veterinary assistant (she especially enjoyed assisting with dental procedures), and eventually an office manager. She lives in Florissant, MO with here 2 dogs, Branson and Bowie, and 2 cats, Oliver and Stella. She says that she truly loves her job. “The care and compassion that we give to clients and their pets is very rewarding.” She feels as though the staff is “a very close knit family.” She hopes to be at Brentwood Animal Hospital for many years to come. Leave a donation to help the foundation in honor of Marilyn Bono.